A scorching Hungaroring sent Formula One into its midsummer break gasping for air. Lewis Hamilton and his Mercedes garage can now breathe easier as they look forward to the remainder of the season with renewed optimism after the British driver controlled the race to record a maiden victory for his new employer. 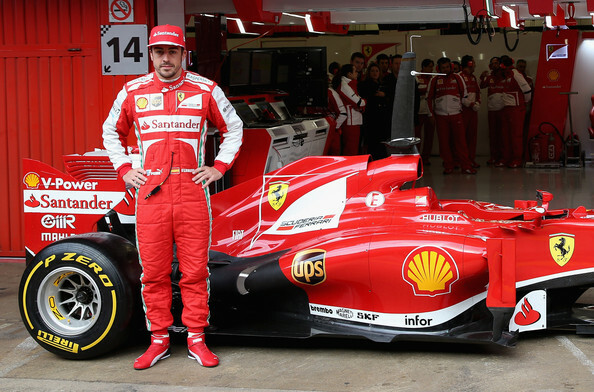 Over at Ferrari however, the heat was raising tempers. Another disappointing result left Fernando Alonso voicing his concerns about where the team was headed, a relatively mild show of frustration but one which earned a stinging rebuke from President Luca de Montezemolo. The Italians are closing rank. This is one cooling off period which has arrived not a moment too soon. 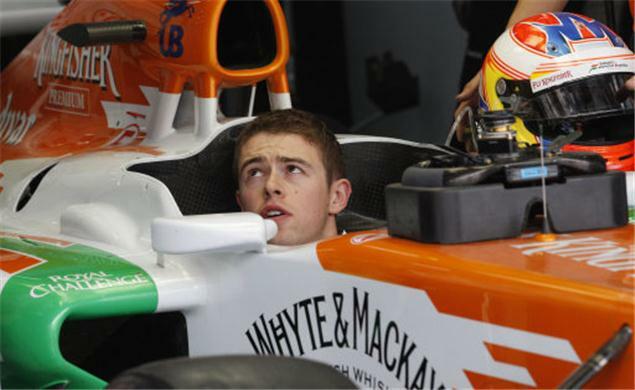 It’s fair to say that Paul di Resta is no overnight sensation. This is his third year on the Formula One roster and that’s usually ample enough to assess potential future career prospects. He’s long talked a good game but now, perhaps just in the nick of time, he’s beginning to put the numbers on the board. In Canada at the weekend an audacious tyre strategy enabled him to move up ten places from his qualifying position, finishing in the points for the sixth race out of seven, an accumulation already closing in on his total for the whole of last season. The upcoming British Grand Prix will afford him the opportunity to raise his profile further, but the margin of error is slim and the stakes are high. The first five Grands Prix of the Formula One season have generated their fair share of talking points but nothing has furrowed brows quite so much as the increasingly fractious debate over tyres. Now much as I enjoy the racing and some of the associated politics, the technical aspects of the sport tend to leave me cold. I’m perfectly happy to trust the intricacies of DRS or chassis composition to the experts and the same would normally apply to the only part of the car that actually makes contact with the track. When those bits of rubber become fundamental to the outcome of the action however, it is necessary to pay more attention. Is this a case of some teams crying foul to cover their own deficiencies, or is there a genuine problem here? Forget the Corinthian spirit. Even on the playing fields of Eton there was plenty of evidence that all that taking part nonsense was little more than upper-middle class guff. W.G.Grace was an inveterate cheat, Douglas Jardine never considered the noble concept of fair play as he instructed Larwood and Voce to hurl bouncers at unprotected Australian heads, and as for the shenanigans that take place in a rugby scrum, well, we do love to endow our sporting contests with a veneer of bogus honour. In truth, we know that if we want to win, we do whatever we feel we can get away with. So why the overwhelming condemnation for Malaysian Grand Prix victor Sebastian Vettel, culprit of the heinous crime of disobeying team orders and causing dreadful disharmony in the Red Bull garage? He won, and though his dastardly insurrection might have breached an unspecified moral code, he did not break any rules. Honestly, you’d have thought it was because he’s German. 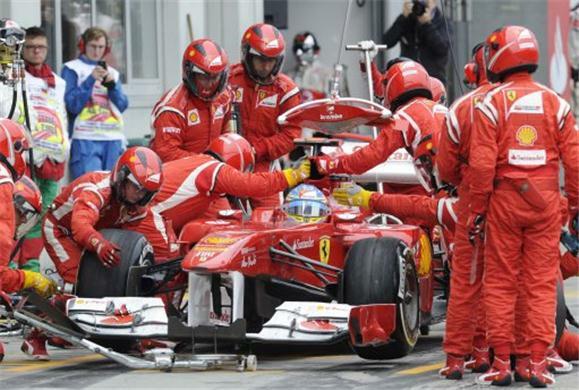 A new Formula One season gets underway in Australia this week. It will be the last using the current engine configurations, so ending an era which has been dominated in its latter stages by Red Bull. Sebastian Vettel will be aiming for a fourth consecutive drivers’ title but with the opposition breathing down his neck a close contest is probably assured. Some much-discussed moves, five rookies joining the fray and the usual internecine politics have kept the pot boiling during the winter cessation. And the new campaign has plenty to live up to. The first seven Grands Prix of 2012 were each won with a different racer behind the wheel, five of them for different manufacturers. The final act in Brazil was one of the most dramatic and thrilling spectacles of recent times. So just what can we expect in the coming months, and who will be the biggest winners and losers? 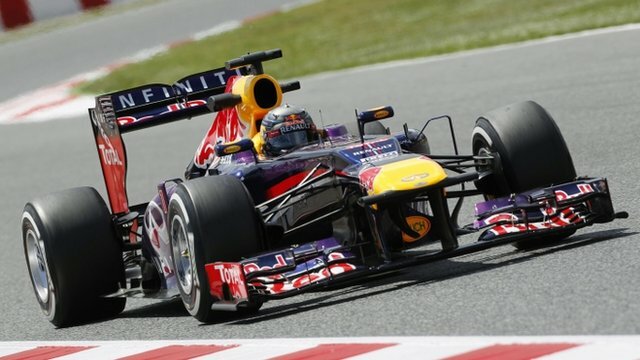 After just five full seasons in Formula One, Sebastian Vettel is a triple World Champion. If Michael Schumacher tore up the record books, his young compatriot threatens to put them through a shredder. 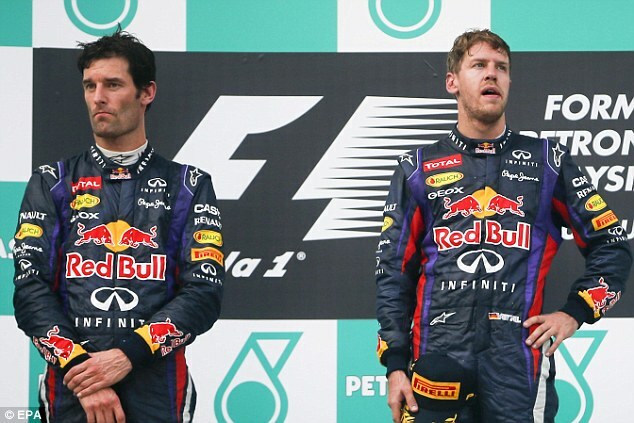 The same streak of arrogance, a single-minded determination and a haughty aloofness unites the two men, the elder showing genuine patrician pride at his protégé’s latest success, confirmed in a dramatic final Grand Prix of the year in Brazil. Schumacher, who was taking his final bow, one which this time is certain to be inviolate, spent most of the time he was accumulating titles clearly head and shoulders above his rivals, regardless of the car he was driving. Vettel resides in a more competitive era, one in which designers, mechanics and the vagaries of fate may have the crucial role, and he has been fortunate to enjoy impeccable support in this respect. 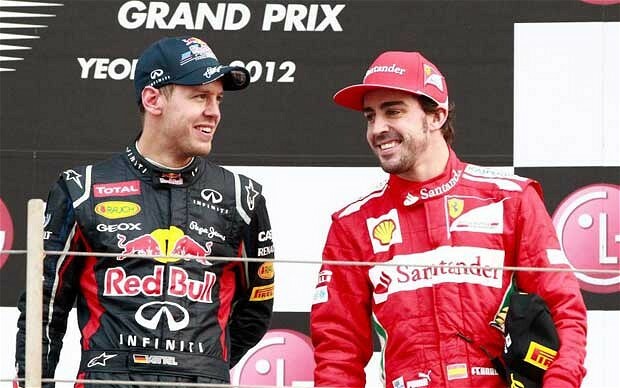 He may have the garland, but he was not the best driver of 2012; that accolade should have been Fernando Alonso’s. 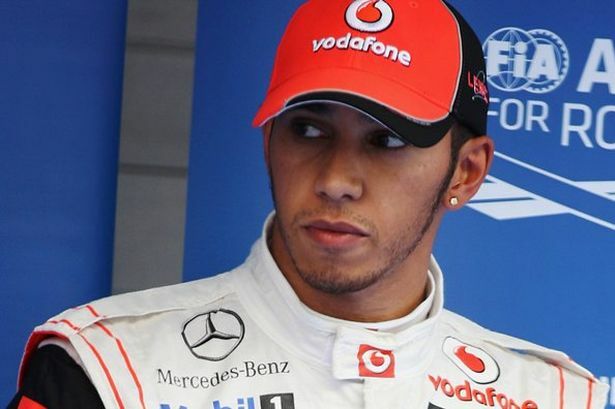 I don’t know what motivates Lewis Hamilton. It’s pretty obvious he enjoys the high life, but why wouldn’t he? He’s been groomed and nurtured for the role of Formula One ace since probably before he can remember. Fourteen years at McLaren have seen him indulged and cosseted, placed on a pedestal and protected from what most people would call reality. If he behaves like a spoilt brat, then it’s because he knows no different. That’s the prism through which most petrolheads have viewed his recently announced move to Mercedes for next season. But maybe he’s woken up to a few hard truths. If you allow others to control your destiny, you’ll never get the chance to fail under your own steam. Now, at least, there’s no-one else to blame. ‘No normal sport in an abnormal society.’ It wasn’t perhaps the most elegant of slogans but its role in propelling apartheid towards the dustbin of history is beyond doubt. It is a sentiment seemingly lost on Bernie Ecclestone, supremo of the Formula One circus which this morning rumbles sheepishly into the troubled Kingdom of Bahrain. Behind the façade of business as usual which will be cynically presented to the watching world, the brutal suppression of the pro-democracy demonstrations which began a year ago will continue on the streets. The collision of sport, politics and conscience has long produced delicate dilemmas and numerous contradictions over which to wrestle but, as the cars hurtle round the racetrack in the desert, it is difficult to escape the feeling that this particular event may be testing the boundaries of our tolerance.